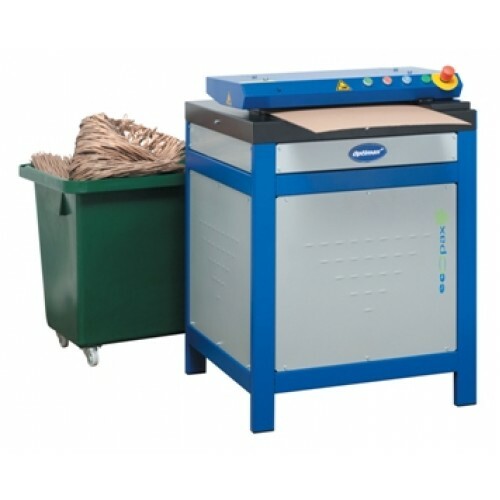 The ecopax CP422S2 three phase cardboard shredder machine represents a 100% environmentally friendly solution to your cardboard waste, converting it into a form a loose fill thats extremely effective for packing purposes. The machine creates void fill from waste cardboard. Ecopax Converters turn small quantities of old cardboard into lots of packaging material within a short time. They create either Padding Material or Flat padding mats which reduce packaging costs and are ecologically beneficial. Operator friendly feeding of cartons with punched measuring scale for precise packaging units. Various sizes of cardboard boxes are automatically processed and tailored in one single step. Can take single wall and double wall cardboard.